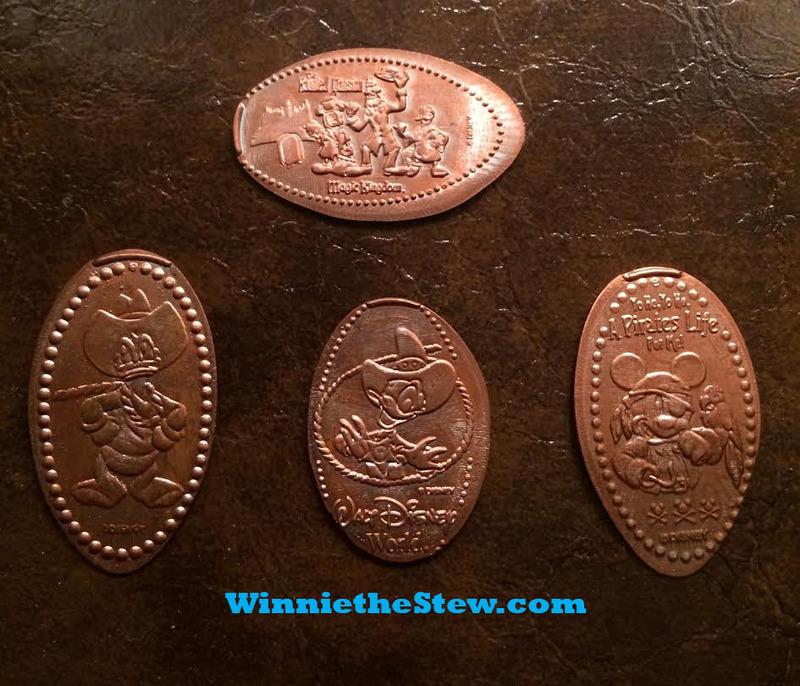 If you are looking for an inexpensive souvenir option or simply an interesting activity for the whole family; consider pressing pennies at the Walt Disney World theme parks. Whether you are a collector or new to pressed pennies, it surely is a treat to accumulate those shiny wonders with the likenesses of Disney characters, iconic buildings and rides. During vacation planning, decide with your family which coins you would like to collect and work it into your daily schedule. With a few family members, performing the task can be time consuming, so creating a game plan is essential. Presscoins.com has listings of the machines in all of the parks, as well as photos of designs that each machine produces. The photos and locations are conveniently broken down by park with additional information about where to find the machines. Print off a map of each Disney park and circle the locations so you can easy find them while on your trip. The money needed to create the pennies does add up and rummaging through a purse to locate the change can also take valuable time away from your Disney Day. The machines take two quarters and a penny for pressed pennies and four quarters and a penny for the pressed quarter machines. 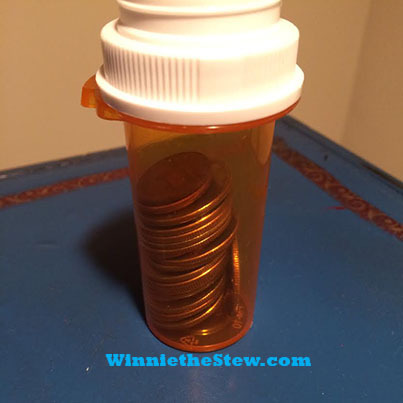 Use an empty pill bottle. Empty pill bottles or long candy tubes work extremely well for keeping the change in order and do not take up much room in a backpack or purse. If you opt to use a prescription bottle, make sure to remove the pharmacy label prior to filling with change. Use address labels and stickers to personalize your bottles with each family member’s name. When filling with coins be sure to alternate: 2 quarters (or 4 for the pressed quarters)then a penny and keep repeating the sequence. This is a time saver for when you are standing at the machine and ready to get started. What to do with these pennies? What Can You Do With Pressed Pennies? Disney sells pressed penny books within the parks. The books contain slots to hold and display the pennies. As an alternative to the Disney book, you could glue your pennies onto scrapbook pages and attach photos from your trip that correspond with the location. For example, a photo of your family standing in front of The Haunted Mansion pasted next to your Hitchhiking Ghosts penny. Make jewelry. There are several sites, including Pinterest that have photos with inspiration for pressed pennies jewelry. You can make pendants, earrings, cufflinks, bracelets, tie tacks and key chains. Get as creative as you wish and turn it into a craft night. These jewelry pieces also make great gifts for friends and family! Pressing pennies at Disney is pure fun…from locating the machines to the event itself…they are a wonderful visual reminder of a memorable family vacation. 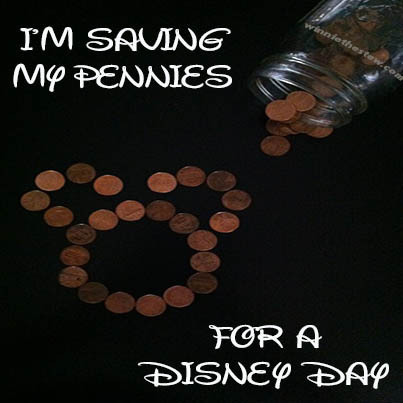 Will you plan time to press pennies on your next Disney trip?